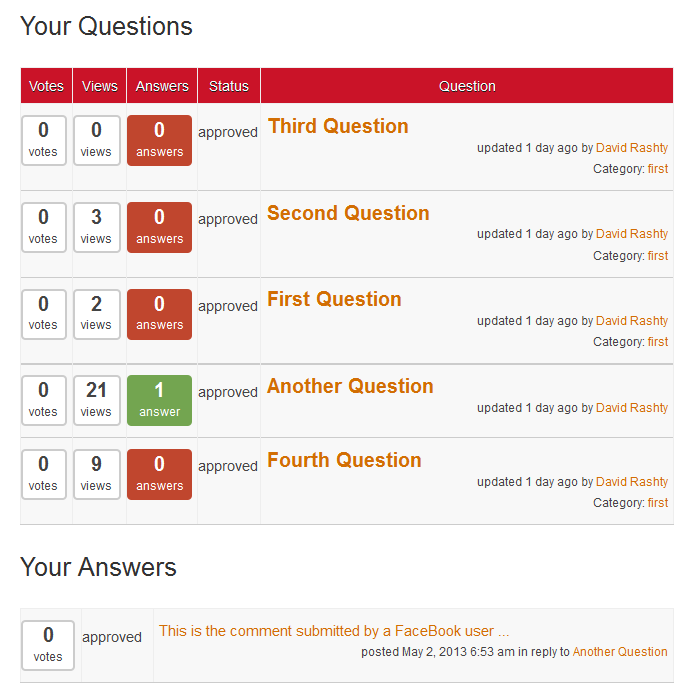 Enables users to post questions and answers (Q&A) in a stack overflow style. Includes voting, moderation, notifications, access control and more. 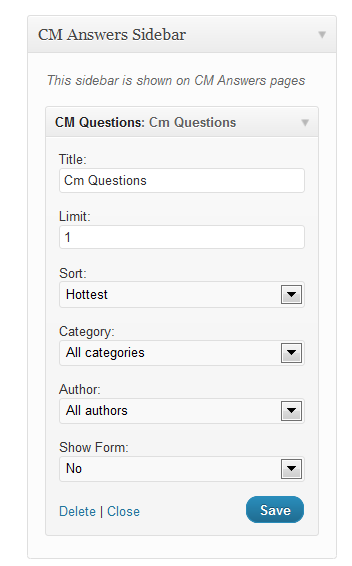 The CM Answers is a questions and answers plugin for WordPress that enables users to add questions and answers (Q&A) in a stack overflow style. The Answers plugin allows users to post questions and answers, leave comments, vote, and upload files in a discussion board format. 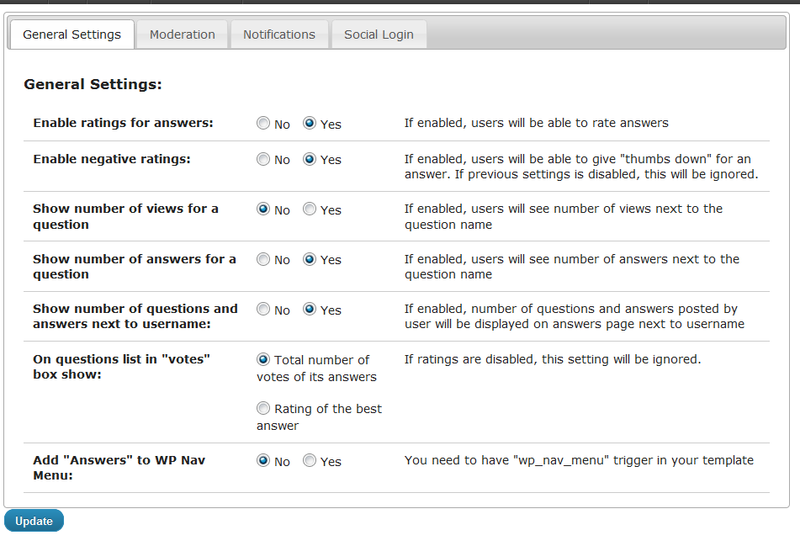 Users of this WordPress answers plugin have full moderation access of questions and answers, can restrict user capabilities, and create multiple forum categories. Admins also have the ability to customize the questions and answers, filter any unwanted content, add answers, and easily keep track of users actions in the forum. 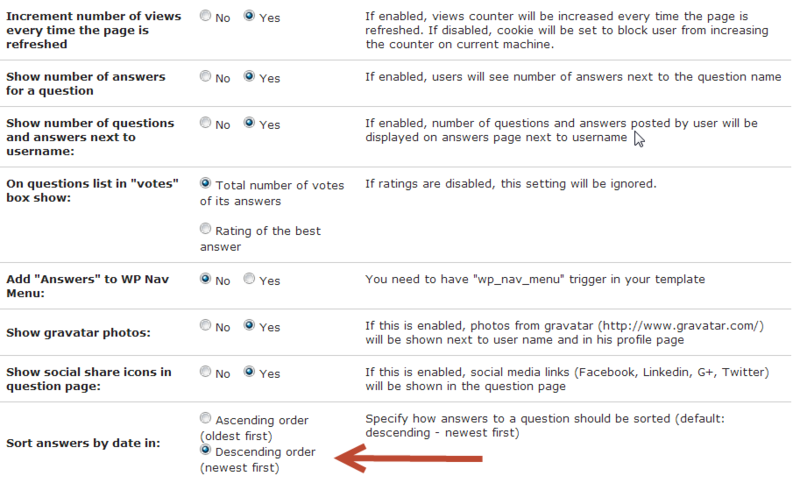 The CM Answers discussion forum plugin has many other unique features, like voting for questions and answers, which allows administrators to customize it according to his or her needs. Additional features of this ultimate WordPress questions and answers plugin include multiple file uploads, private messages, and the ability to subscribe to categories and certain topics, as well as receive notifications when there is new content. Forum – Puts a lightweight and easy to use Discussion Forum on your WordPress site or blog. 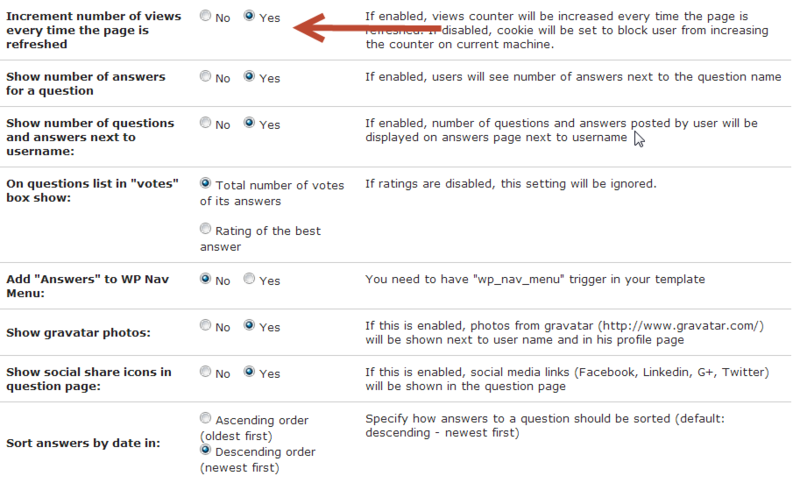 Support Forum – Supports your users while allowing them vote and answer existing topics that you moderate. Community – Adds a discussion forum to your site that allow your members to start their own conversations and ask questions. Questions & Answers – Users can answer questions sent in by other users. Customer Support – Support for retail customer’s questions. StackOverflow – Adds a StackOverflow style forum to your site. Paid Support – Charge users for posted questions & answers. Administrators can moderate question & answers and can receive email notifications. Users can receive notifications when answering a question pending follow-up. Sorting options in the question and answer pages. Template can be easily customized according to users requirements. We will be happy to add more language files and submit them to our WP community members. Currently we support: Spanish, German, Polish, Russian, French and Czech. Mobile Responsive – Adjusted design and uex for mobile devices. Anonymous Posting – Support anonymous non logged-in user posting when used with Add-on. Private Answers – Mark answer as private so only question author can see. Private Question – Send questions privately to question author. Advertisements – Integration with Ad-Sense or other Ads networks. Comments – GAdd comments to question or answers. MicroPayment – Grant or Charge virtual currency based on use-case. 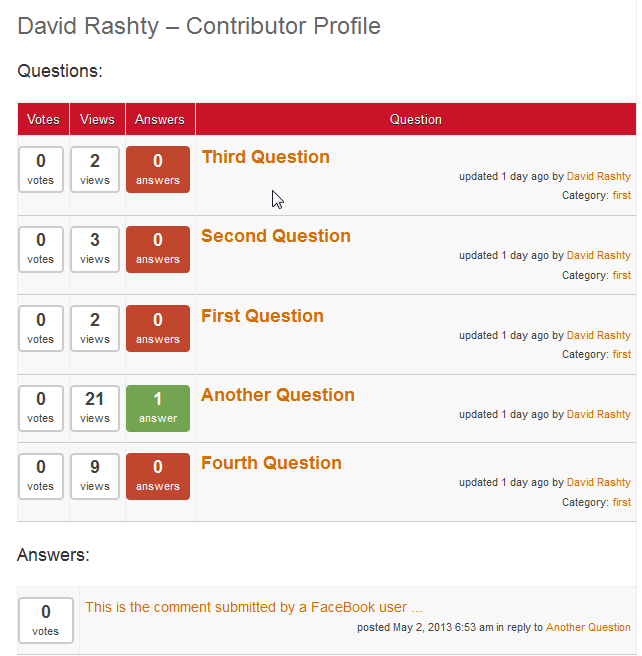 Comments – Ability add comments for question and for answers. Multiple Attachments – Multiple attachments in questions and answers. Spam Report – User can report span questions or answers. Access Control – Admin can define who can ask questions and who can answer based on user role. Edit Question / Answers – Users can edit the question or the answer after submission. BuddyPress – Stronger Integration with BuddyPress. Two Levels Category Navigation – Support two level category navigation. Ajax Support – Uses a Shortcode that displays the Category, supported by Ajax. Views of categories fit within the current site template. Gravatar – Ability to display a Gravatar near the user’s name and in the user’s profile. Localization Support – Frontend (user side) is localized. Gratitude Message – Does not include our Gratitude Message in the footer. CM Super ToolTip Glossary – Easily creates a Glossary, Encyclopaedia or Dictionary of your website’s terms and shows them as a tooltip in posts and pages when hovering. With many more powerful features. CM Download Manager – Allows users to upload, manage, track and support documents or files in a download directory listing database for others to contribute, use and comment upon. CM Answers Plugin – A fully-featured WordPress Questions & Answers Plugin that allows you to build multiple discussion forum systems Just like StackOverflow, Yahoo Answers and Quora, Now with MicroPayment and Anonymous posting support!. CM MicroPayments – Adds the in-site support for your own “virtual currency”. The purpose of this plugin is to allow in-site transactions without the necessity of processing the external payments each time (quicker & easier). Developers can use it as a platform to integrate with their own plugins. CM Restrict Content – A full-featured, powerful membership solution and content restriction plugin for WordPress. Support access by role to content on your site. CM Booking Calendar – Customers can easily schedule appointments and pay for them directly through your website. Note: You must have a call to wp_head() in your template in order for the JS plugin files to work properly. If your theme does not support this you will need to link them files manually in your theme (not recommended). How can I customize the look & feel of the plugin? In your template you can custom create a directory called “CMA”. Inside this directory you can place a structure that is similar to the one inside “cm-answers/views/frontend/”. If the file is properly able to be found in your template’s directory, then it will have priority over the default. Otherwise, the default file from our plugin directory will be used. It is easy to get cynical about customer support. So when we approached CM about the possibility of fixing a rival product to CM Answers that had started to conflict with CM Glossary Pro + you can imagine we didn't expect much of a response. But CM not only fixed the conflict, they also gave us the tools to make some alterations to CM Answers so that we are now in a position to compare an enhanced CMA with its fully operational competitor. I, for one, am now sold on the idea that CM Answers is the most sophisticated option out there with a support team that truly goes the extra mile. Thank you. This plugin is a good idea but the execution needs a lot of work, particularly with the Ask the Expert addon. There is hardly any documentation available, but at least if you ask a question the service team responds quickly. Too many features of the plugin can't be changed by the admin. The profile created for users can't be changed, and there are just two fields. There is very poor integration with their other plugin cm registration, with duplicate login and registration forms and no ability for the admin to choose among them. 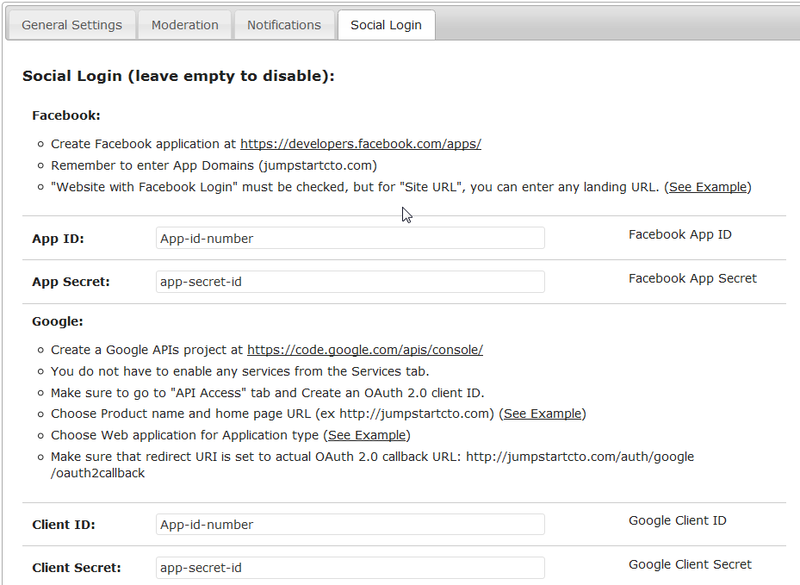 Also poor integration with Peepso, and this addon was just released. Multiple issues with the Expert addon, but this is a premium product so I don't know if I'm allowed to mention those here, but there is nowhere on their website to review the premium versions. 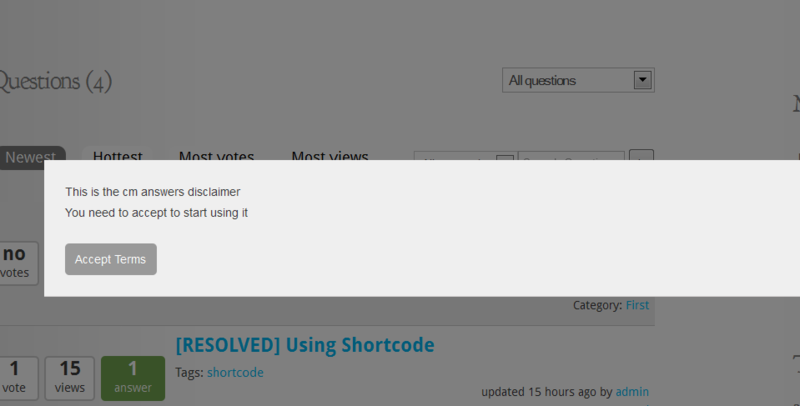 Great customer support, Great plugin! I use the pro version of the plugin. I got fantastic customer service, and great turnaround on a small issue that I had. Sorted quickly and professionally. Exactly within 24hrs as stated on the support page. Keep up the good work! “CM Answers” is open source software. The following people have contributed to this plugin. Translate “CM Answers” into your language.